For centuries mankind has focused on developing static materials that can perform specific and increasingly more complex tasks for longer and longer timespans. However, the next level of soft matter materials are required to interact with their environment in a responsive fashion, able to adapt to changing environmental conditions as well as being able to self-mend. Ultimately, materials are desired that can also not only react to exterior changes but actively fulfill pre-programmed functions. Thus, during the last decade, significant research focus was placed on the design of macromolecular materials that show dynamic and/or responsive behavior as well as – recently emerging – programmable characteristics. In that context, polymer scientists and chemical companies have recently dedicated significant efforts into fundamental research and valorization of dynamic/responsive materials such as vitrimers, self-healing materials, supramolecular polymers, (multi-)responsive as well as shape-memory polymers. These advances would not have been possible without the dedicated work of generations of doctoral students and post-doctoral researchers, who are the research backbone of our community. It is for this reason that we place the "on-the-bench" researchers into the spotlight of our conference by allocating them all available contributions. 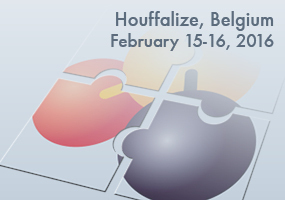 The MACROmolecular meeting, organised by a BElgian-GErman university (MacroBeGe) – held at the beautiful conference site of Houffalize in Belgium – provides ample opportunity for graduate students and post-doctoral researchers to showcase their work in oral as well as poster presentations, flanked by a number of keynote lectures. After the two successful previous editions, we are convinced that the conference will pose again as a platform to closely connect European macromolecular communities and stimulate research collaborations from bench-to-bench for the benefit of the involved groups.